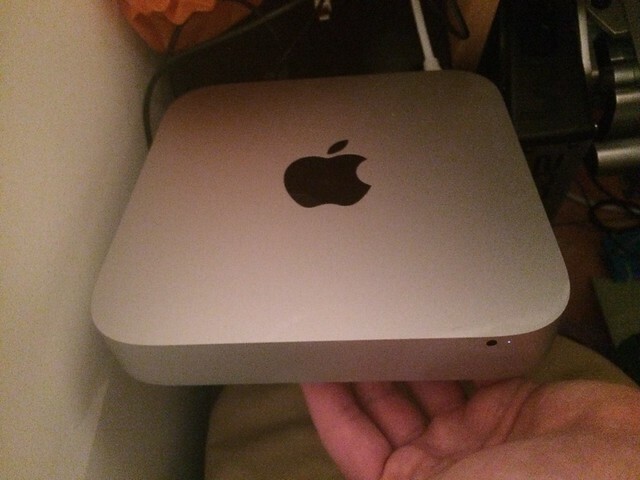 I've decided to sell my Mac Mini on account of it being used less than once a month in the 2 years I've owned it! I bought it in January 2015 intending to use it for iOS development and as a home studio, but in practice it just lived in the study and I mainly used my laptop for convenience. It's a great little machine and is a joy to use, fantastic if you need a Mac but don't want to enter the world of £800+ base spec laptops! Looking for £330 £310 £300 delivered or £310 £290 £280 collected from Bromsgrove. Can potentially meet in nearby areas and Leamington/Gaydon. High GG85, is that the version you can upgrade the ram and the hdd if you wish? I may be interested in this but at the risk of losing the chance to buy I can recommend these to Mac users looking for a mac experience with low budget. I connected mine to a Dell U2515H at 2560 x 1440 excellent quality. Runs cubase, Reaper, Ableton like a dream. Time machine is a godsend: if a hard disk fails just plug into the Mac and restore everything (settings and all) within a couple of hours. 4GB should still run fine all the above. 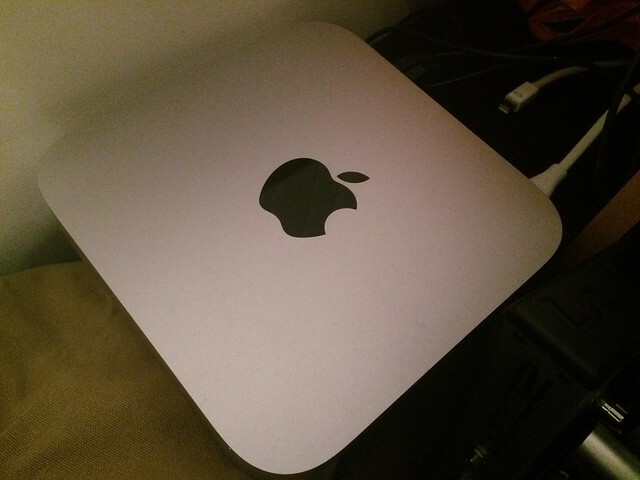 I replaced my Mac 27 inch with a Mac mini and I don't miss the 27inch and I certainly didn't miss paying £1600 for the Mac. To be fair a 2560 x 1440 top quality glass panel display when I bought the iMac 27 would have cost a fortune anyway. Price drop bump, and open to guitar trades. Bump - feel free to make an offer. Does this have a Firewire input or is it the later 2 X Thunderbolt inputs? Hi @SRich - the 2014 models have 2 thunderbolt ports, no FireWire. Hey, thanks for the message. It says £310 delivered which is still the price. £290 collected. Price drop! £300 delivered, £280 collected. Will also consider part ex for an iPad mini 2 / 4 or Air 1 / 2.